The Champions League returned on Tuesday night as the quarter-finals of the competition kicked off. 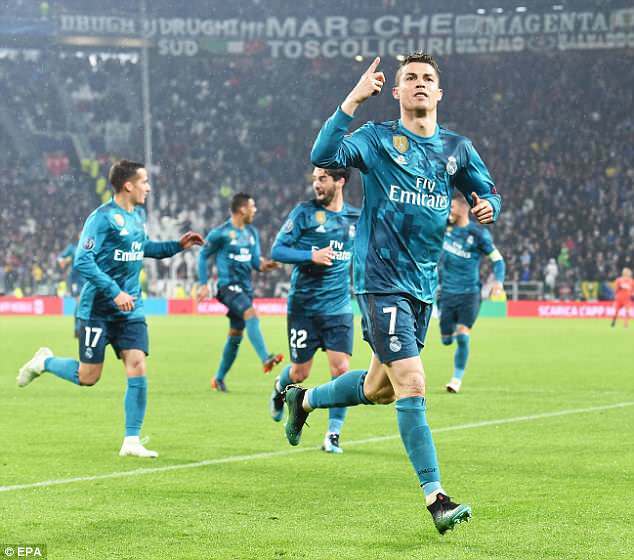 The first two first-leg ties of the last eight Juventus host Real Madrid, while Bayern Munich travelled to Sevilla, who knocked out Manchester United in the previous round. Here, Sportsmail picks out six things you may have missed during both fixtures. 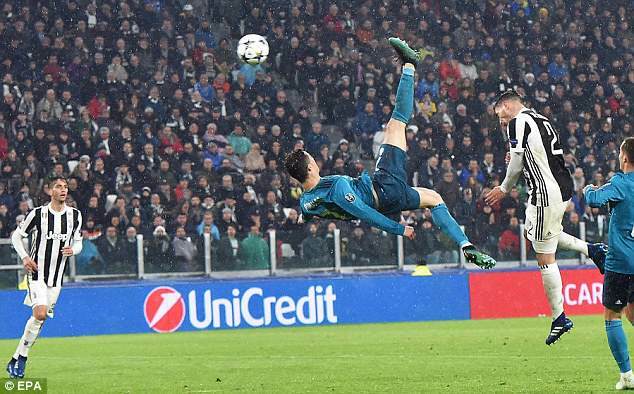 Cristiano Ronaldo’s second goal against Juventus on Tuesday was one of the goals of the season. 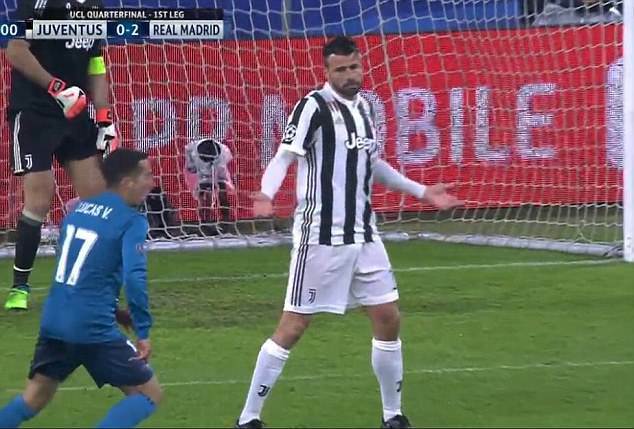 The ability to get himself into position before executing the perfect bicycle kick was the perfect way to take his tally in the Champions League to 22 this season. 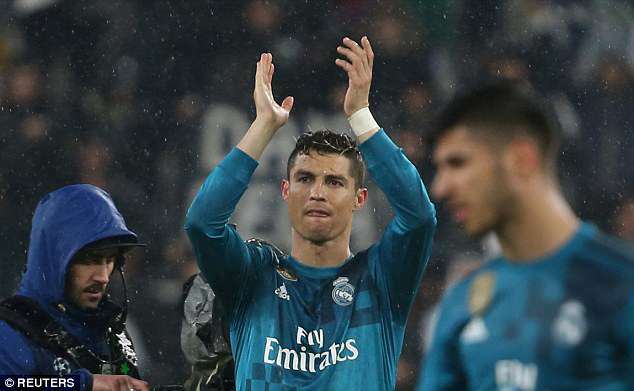 And it wasn’t just Ronaldo’s Real Madrid team-mates and manager Zinedine Zidane who were impressed. 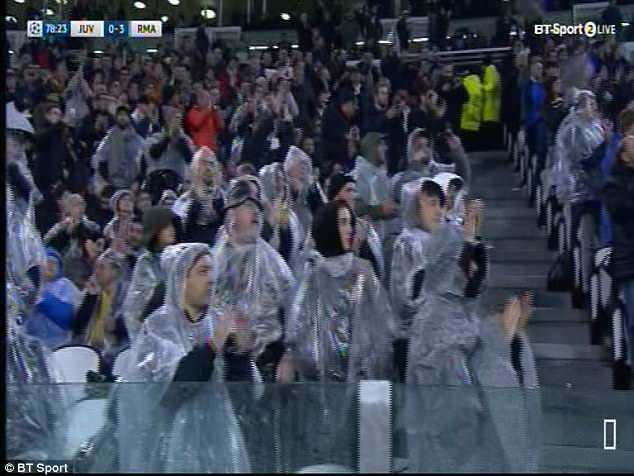 Even the Juventus fans who had packed into the Allianz Stadium couldn’t help but clap his excellent strike that made it 2-0. Stoke striker and Sportsmail columnist Peter Crouch also couldn’t let it go without his reaction. ‘There is only a few of us who can do that,’ Crouch tweeted, referencing the goal he scored for Liverpool against Galatasaray in the Champions League. Ronaldo is also the first player in Champions League history to score in 10 consecutive games (16 goals). On top of that, the Real Madrid forward has scored in each of his six appearances against Juventus (10 goals). Paulo Dybala has enjoyed a fine third season at Italian champions Juventus but he does seem to have picked up a bad habit. The game against Real Madrid on Tuesday night was his third of the season against Spanish opposition. It was also the second game against teams from La Liga in which he has been accused on diving. In November against Barcelona it was suggested he dived to try and win a penalty. He appeared to do something similar against Real Madrid but this time he was booked for his troubles. It was made to look even worse when he was sent off after receiving his second yellow of the night. 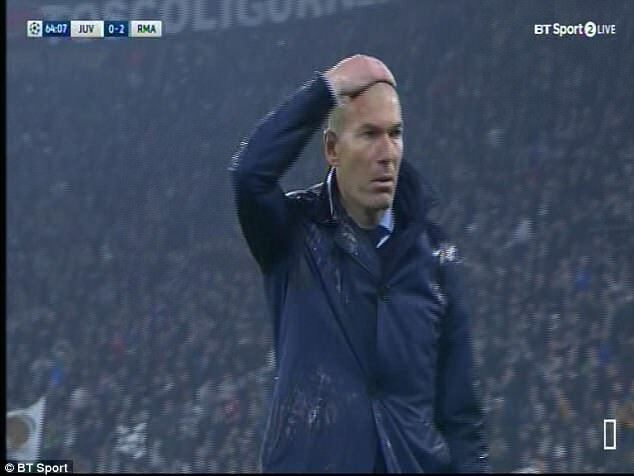 You know what you get when you select Sergio Ramos in a starting line-up. You’ll get passion, hard work and often goals. 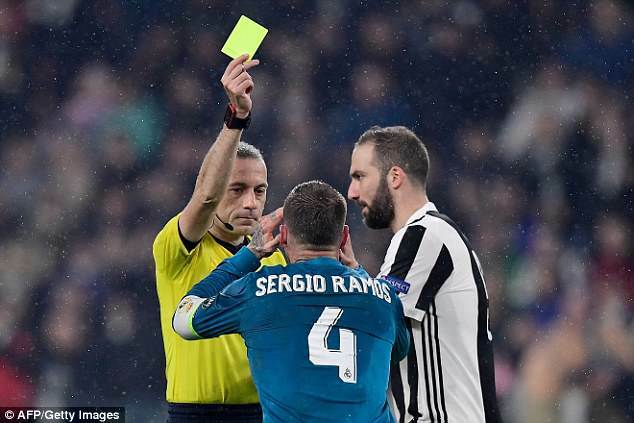 What you also may have to endure are the number of times Ramos gets booked. 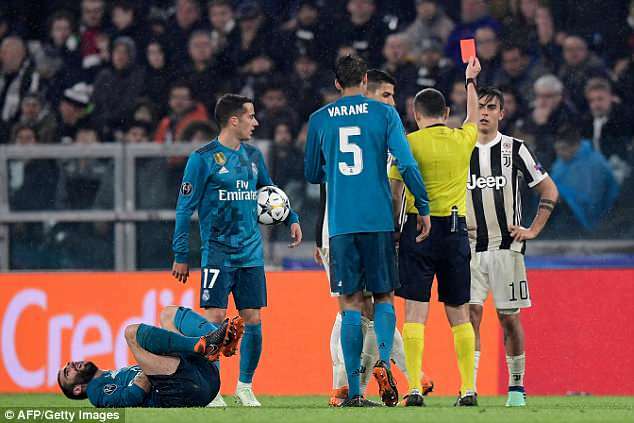 This time he went into the referee’s notebook for a blatant push on Dybala. It was his 400th yellow. Surely it is only a matter of time before he starts working his way to 450. Champions League football is high stakes stuff. So when Pablo Sarabia found himself in a perfect position to score for Sevilla he fluffed his lines. The ball flashed across the Bayern Munich penalty area but he failed to convert from agonisingly close range in front of an open goal. 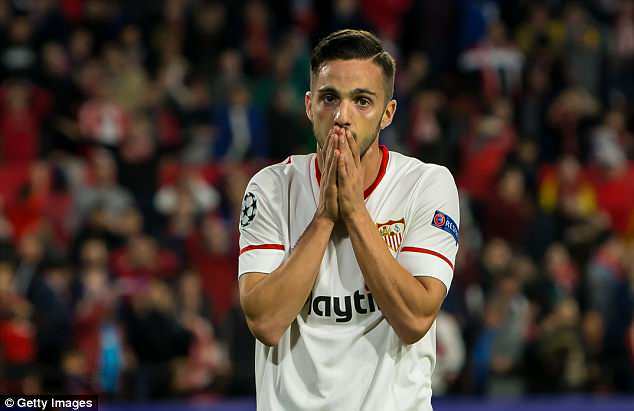 Sarabia did atone for his error minutes later when he scored to put Sevilla ahead at 1-0. Isco finally replicating national team form? There were some raised eyebrows when Isco got the nod to start against Juventus. The accusation has been that Isco hasn’t played as well for Real Madrid as he has for Spain. It is little harsh given it’s not often a player will score four goals in a game as he did in the 7-1 win over Argentina. Indeed, he went a way to silencing his critics by performing a key role between midfield and attack, having a 100 per cent pass completion record in the first half and nutmegging Douglas Costa.